For a few months now I have been contemplating taking a creative writing or a literature class. I had lots of writing practice and critique in college and grad school but that was writing for the social sciences and not very creative. I thought it would be fun to be in a structured situation with an instructor assigning themes, topics, forms, length, etc. to force me to think more creatively when I write. More recently I have been thinking it would also be fun to take a literature class. Although I have had eight years of post-secondary education, my last lit class was in high school and it couldn’t have been terribly penetrating even if I had paid attention. My interest has been further piqued by reading Jasper Fforde’s The Eyre Affair. It portrays a kind of Harry Potter-like world but with Special Ops agents focusing on literary crimes, and all the attendees at a John Milton conference are called John Milton (much to the chagrin of the hotel manager Liz Barrett Browning). It has occurred to me as I read this book that there is a lot I don’t know about the history of literature in general and British lit in particular. I have read lots and lots of 20th century British lit (and a lot of Victorian Trollope) and I remember some Carlyle, Dickens, and Shakespeare, but beyond that I only have a faint notion of how it all hangs together. So, I set out to find some kind of class that might be interesting to take. Unfortunately Washington DC does not have much in the way of meaningful adult education. One is stuck with either really remedial things like ESL and parenting classes, or programs meant to churn out professional degrees. Among Georgetown, George Washington, American, Howard, Trinity, and Catholic, you would think I would be able to find something. You would be wrong. Even if some of these institutions do offer classes that would fulfill my desires they don’t offer anything at night, unless of course you want to get a public policy degree or an MBA. I even checked out the University of Maryland College Park. It would be inconvenient to get to, and I really don’t like the campus, but desperate times call for desperate measures. Their University College program has the kinds of classes I am looking for but all but one of them was online only, no actual classroom time. Call me a dinosaur, call me a Luddite, call me whatever you want. There is no way in hell that an online course can take the place of the classroom experience. No doubt there are times and subjects when distance education makes sense, but to see such a wholesale move to web-based classes by a major university was really depressing to me. Throughout my search I kept thinking of all of the hundreds (if not thousands) of classes offered in the evenings at the University of Minnesota. 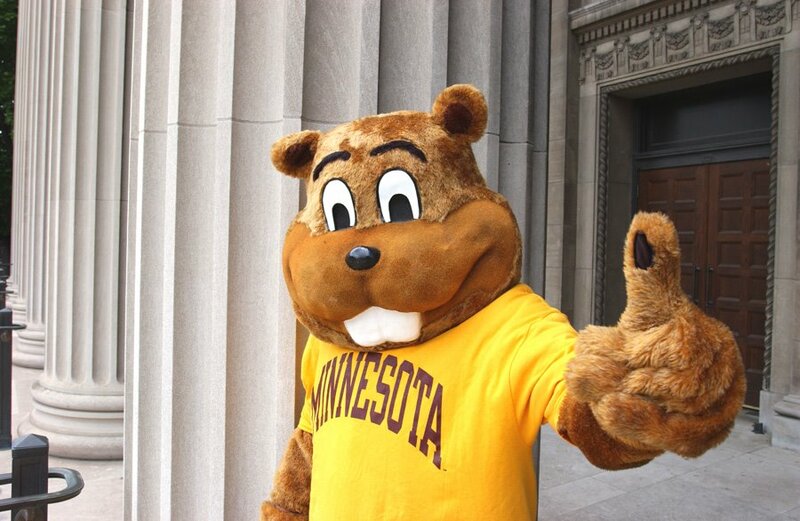 The dearth of evening classes here in our Nation’s capital, however, made me think that my recollections of the University of Minnesota might be woefully out of date. So for grins and giggles I checked out the U of M’s website where I discovered that evening classes are still alive and strong in the Twin Cities. For the current semester there are 12 literature classes that meet in the evening. And none of them are web-based. (They may actually offer web-based classes, but I filtered those out when I did my search.) The point is that there is so much to choose from. Instead of focusing on just those classes that lead to professional degrees like so many institutions today, it appears that Minnesota has not given up on educating its populace by providing curricula that is broad as well as deep. I always used to joke that Minnesota was a nice place to live, but I wouldn’t want to visit there. (This being the opposite of what most people say when they travel–especially to places like New York.) Minnesota may not have the excitement of a tourist destination, but it has quality of life popping out all over the place. Washington DC has culture popping out all over but so much of it is either geared towards tourists or serious researchers. And the stuff that is geared towards residents seems hopelessly wound up in the world of politics. Great stuff if that is the sum total of your interests.